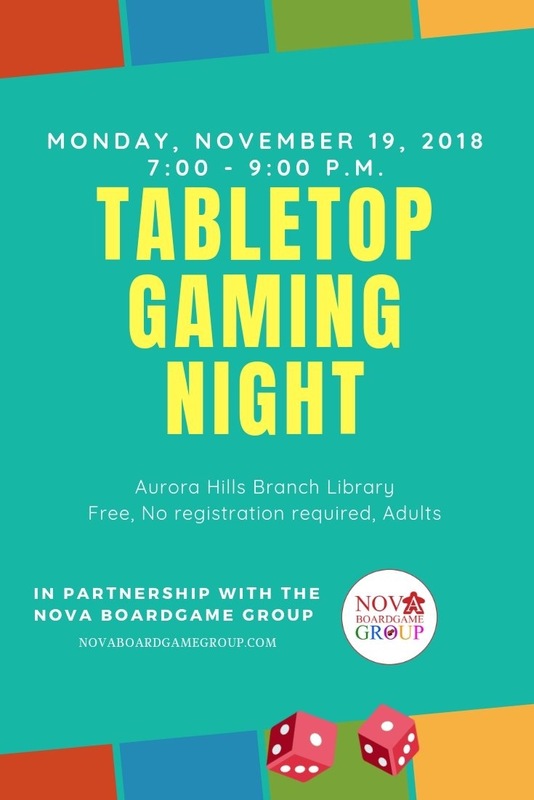 Join us this coming Monday, November 19th, at Aurora Hills Branch Library in Arlington, VA, for board game night from 7pm to 9pm. Aurora Hill is located at: 735 18th St S, Arlington, VA 22202. It located close to both Pentagon City and Crystal City Metro Stops. We will bring a variety of board games and will even be teaching a few. Join us and make some new friends to start your week!